Home Engineering Pareto Equilibrium: How Efficient is Pareto Efficiency? 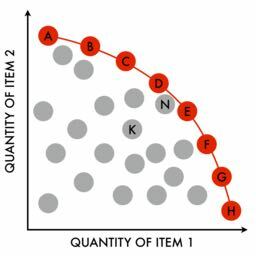 Pareto Equilibrium: How Efficient is Pareto Efficiency? Imagine that your friend and you have a total of 100 apples and 100 bananas to divide amongst yourselves. You dislike apples, but your friend likes them. Your friend dislikes bananas, but you like them. Hence logically, it would only make sense that you got all the bananas and your friend got all the apples. If you received any of the apples, your friend would be worse off and vice versa. ‘Pareto optimality’ is a concept which implies that the situation in which no person could be made better off without making another person worse off is the optimal point. The concept stemmed from the work of an Italian engineer and economist, Vilfredo Pareto. Used in both engineering and economics, it is often called the Pareto equilibrium point as well. The total amount of each good allocated sums to no more than the total amount of the goods in the economy. The concept of externalities also comes into play here. Negative externalities are the costs incurred to parties that are not directly involved in the agreement. For example, when an industrial unit is set up near a residential area, the noise pollution extending to people living near it will be the negative externality of the project. Vilfredo Pareto developed this theory when he observed the pea plantation in his garden. It seemed that 20% of the plants produced 80% of the healthy pea pods. Hence it would make sense to concentrate production onto those 20% plants. Extrapolating this, he saw that 80% of the land in Italy was owned by 20% of the population. Simply put, ⅘ of the effects stem from ⅕ of the causes. This theory can also be applied to situations outside of economics and commerce. Most of us tend to use the same 5-8 applications the most out of all the ones present on our smartphones. In economics, this allows us to select combinations of the resources allocated, which when applied, would maximize the benefit gained by all parties. Any other combination below the optimality point would not result in an efficient allocation of resources, as someone could be made better off without making anyone else worse off. 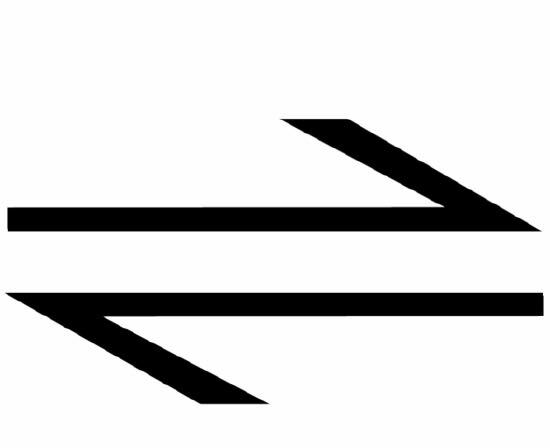 A set of points that are ‘Pareto efficient’ is called a ‘Pareto Frontier’. This concept is particularly useful in engineering as it helps plan designers to select and implement the things they should prioritize the most on, allowing them to make tradeoffs resulting in the least amount of externalities to occur. In the real world, tradeoffs have to be made due to technical and physical constraints. A good example of this is how Apple traded off the headphone jack to accommodate a slimmer design as well as better sound quality via the wireless EarPods. The main problem with the theory of Pareto optimality is that all parties will be compensated in such a way that there exist no negative externalities. However in most real life situations, that is not the case. This is where the Kaldor-Hicks method kicks in. The Kaldor-Hicks efficiency theory implies that a situation may be efficient if the possibility of a compensation for the losing party exists. There is no guarantee that the party that shall be disadvantaged shall actually be compensated, monetarily or otherwise, but it is useful in policy making. For example, when the Punjab Government decided to build the metro bus, they decided to pay a compensation amount to all those people who would have to be displaced due to land clearing for construction. In theory, it was not Pareto efficient as the affectees were not compensated sufficiently. All Pareto efficient situations are Kaldor-Hicks efficient, but not all KH efficient situations are Pareto efficient. So why did the two theories matter in this case? They helped the Punjab government develop a cost-benefit analysis to see the viability of building a metro in Lahore, all compensation to third parties included. a situation may be efficient if the possibility of a compensation for the losing party exists. The Pareto equilibrium helps us in quantifying some real-life problems and allows us to adopt a methodical approach to solving them. In a capitalist society, one would certainly agree that 20% of the people holding 80% of the power is something that is a result of natural power structures that have been in place since the beginning of time. But does that mean that adopting the 80-20 rule will help us reach a better systematically organized world? From my perspective, it only helps us to identify the inequity that exists within society. The notion that something can be taken away from someone and allocated to someone else with negligible externalities is rarely ever the case. The Pareto equilibrium, in a broader spectrum can also be applied to the over-allocation of resources towards the armed forces that our government has, for many decades, been doing. The compensation to the taxpayer may not be as fair as it may seem to the forces, with a significant chunk of the budget going into military infrastructure that should only be considered as a far-off priority to the citizens. The notion that something can be taken away from someone and allocated to someone else with negligible externalities is rarely ever the case. Pareto applications in other situations, however, can help us better strategize our problem solving techniques, such as in multimillion dollar businesses that have a plethora of tasks to resolve at every management level. Economics helps us better understand human behaviour and improves the decision making processes that supersede older ones, after all. Noor us Sahar is an A level student currently studying sciences and economics at LGS 55-main. She has been published in various publications such as The News and the Khwarizimi Science Society blog.